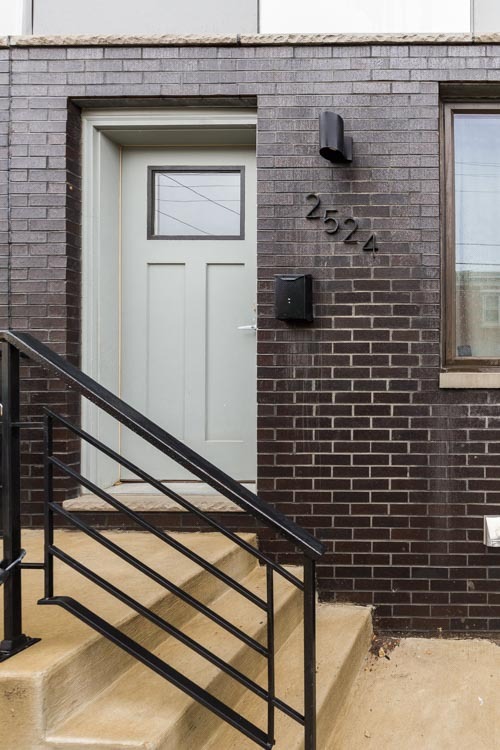 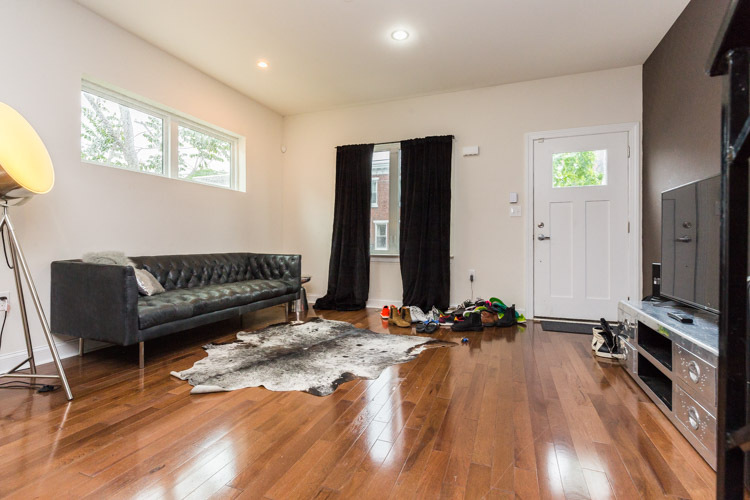 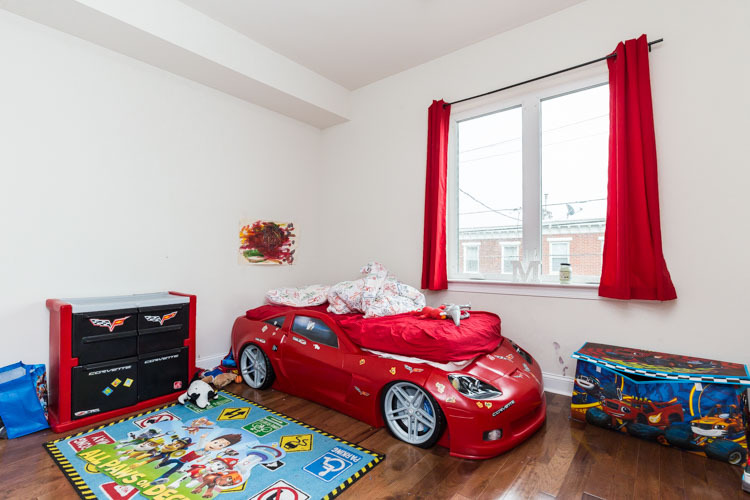 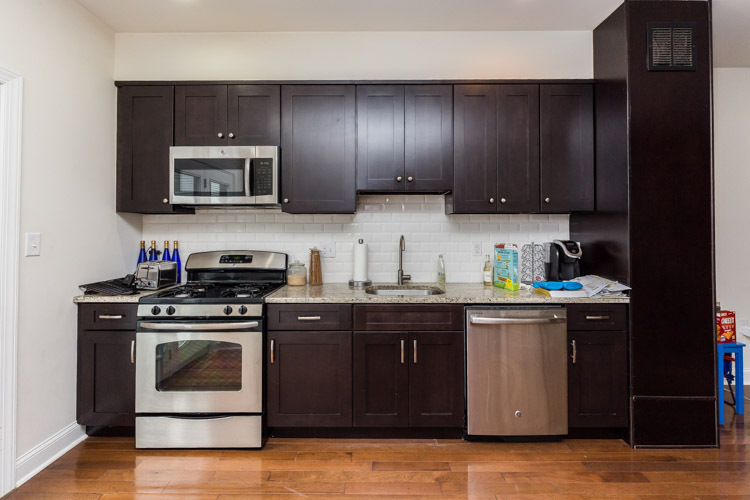 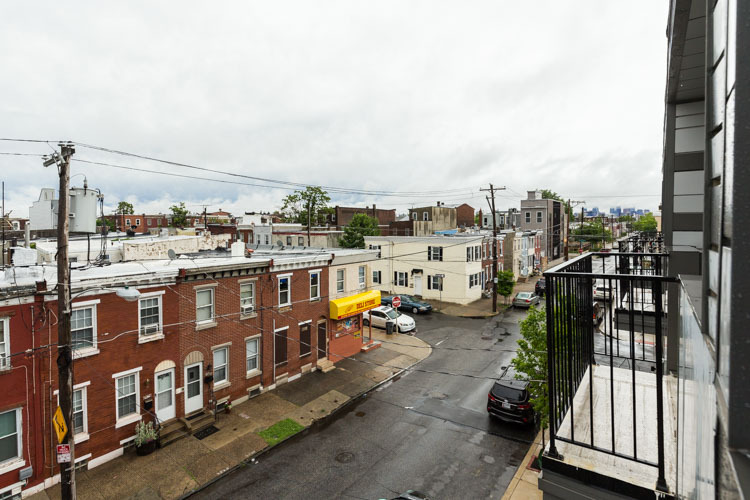 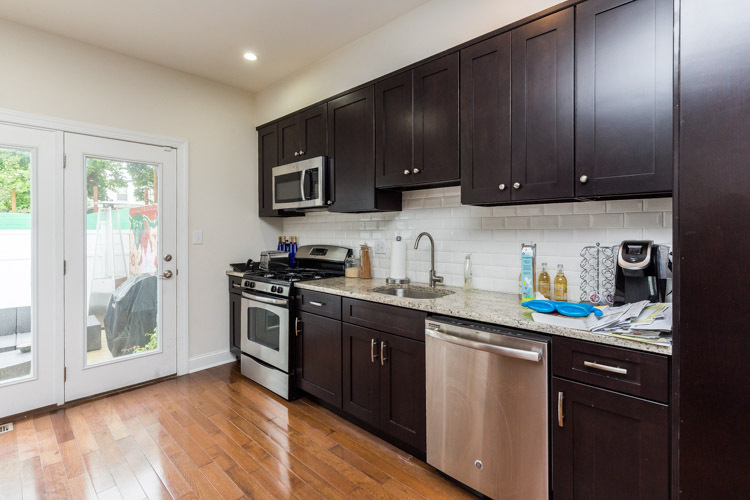 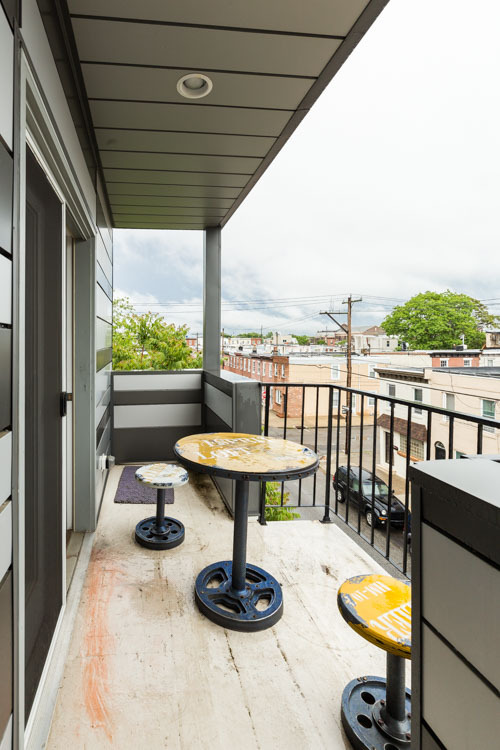 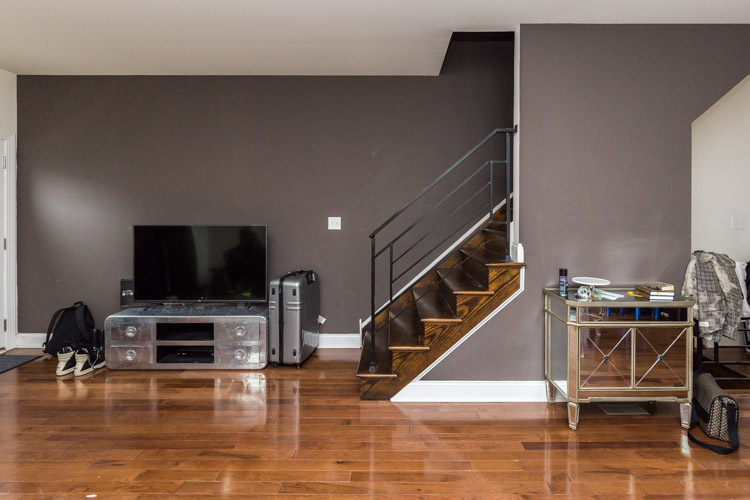 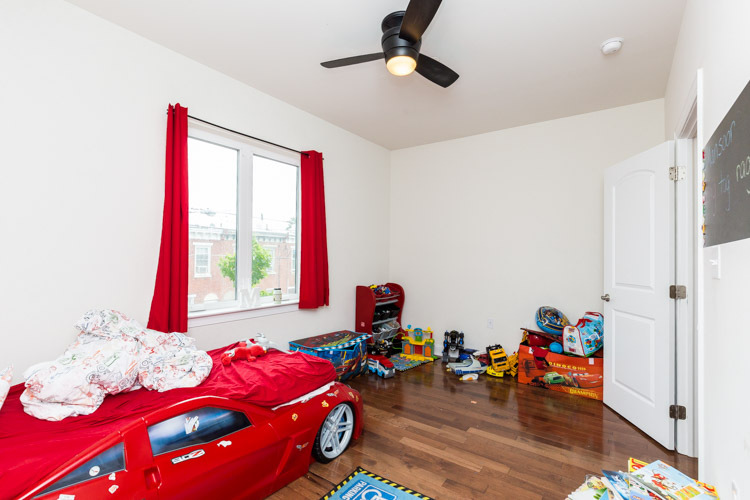 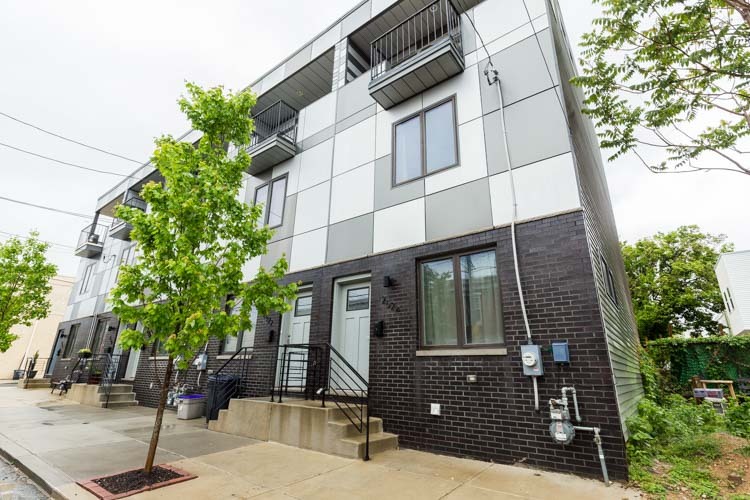 This spacious 3-story home is located just off Frankford Ave, walkable to tons of local favorites and surrounded by public transportation routes for easy commuting. 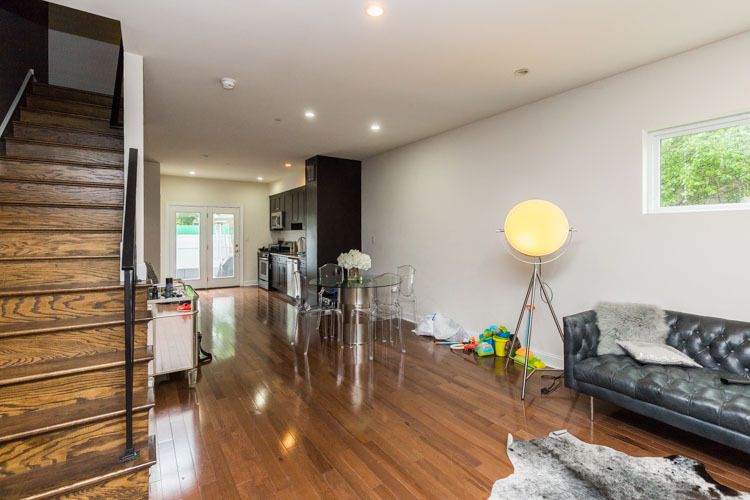 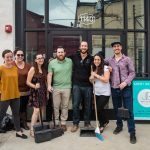 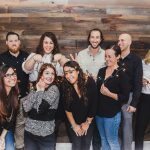 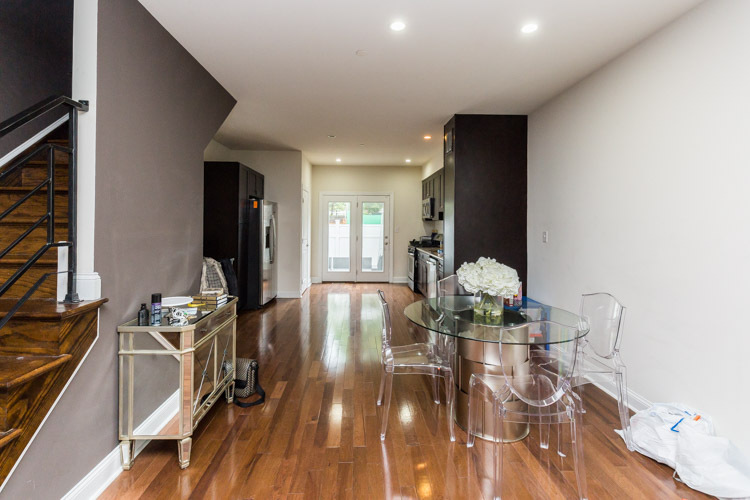 The main level welcomes you into the sunny space with large street side windows, hardwood floors, and a straight through layout for a wide open feel. 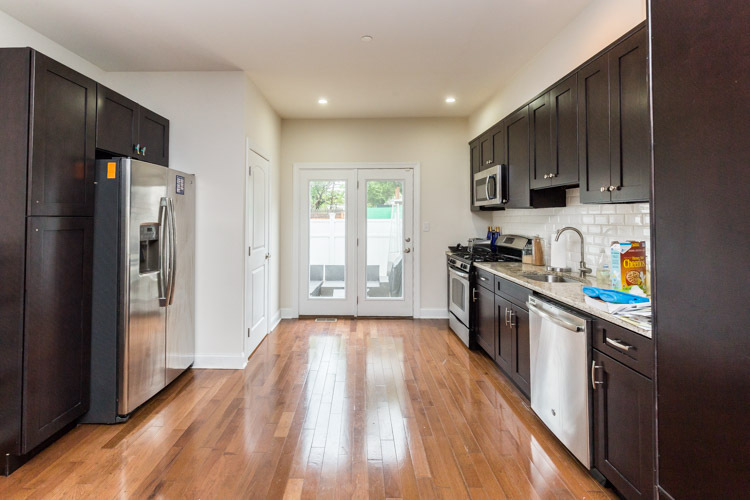 The living room flows through a dining area and into the kitchen, featuring stainless steel appliances, espresso shaker style cabinets, and a half bathroom attached. 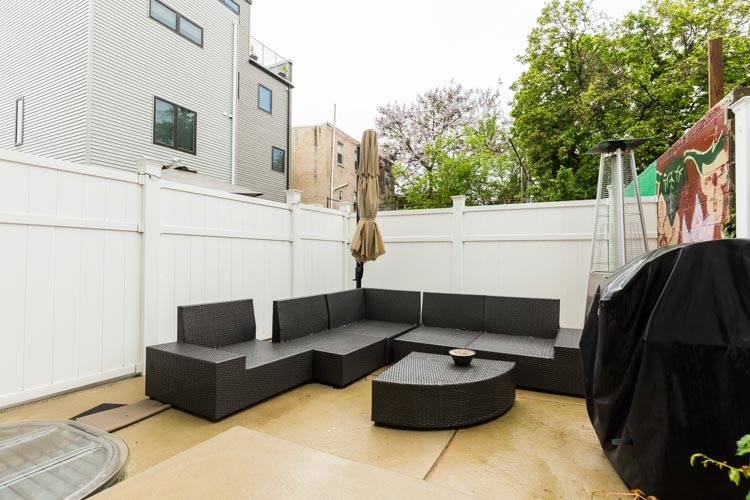 There’s access to your patio and finished basement from the kitchen. 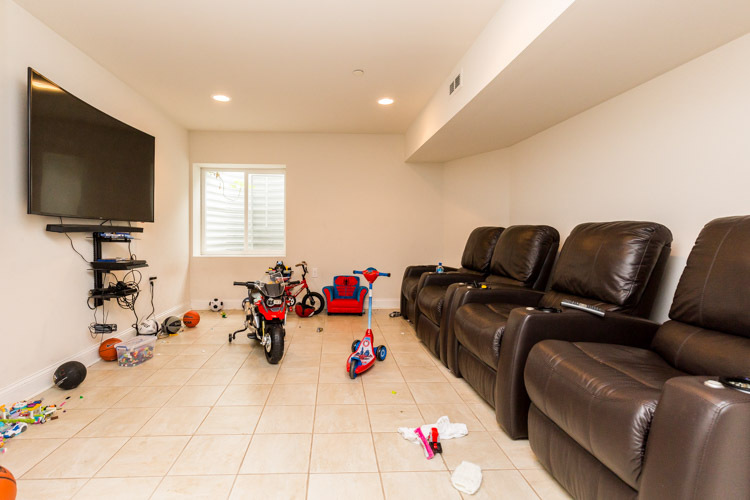 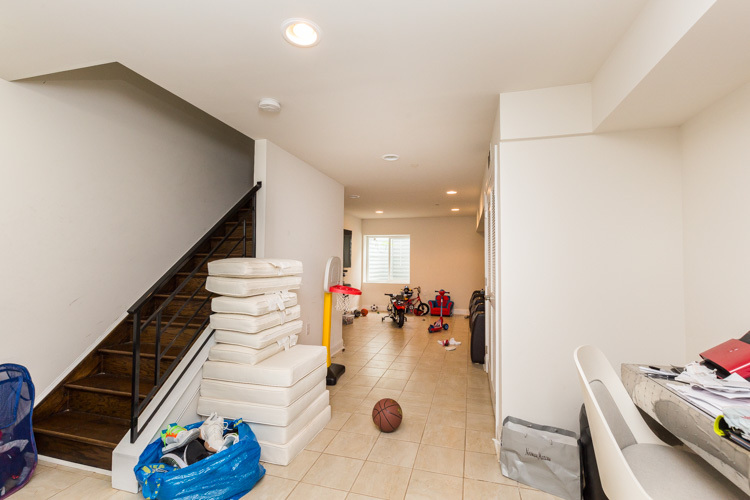 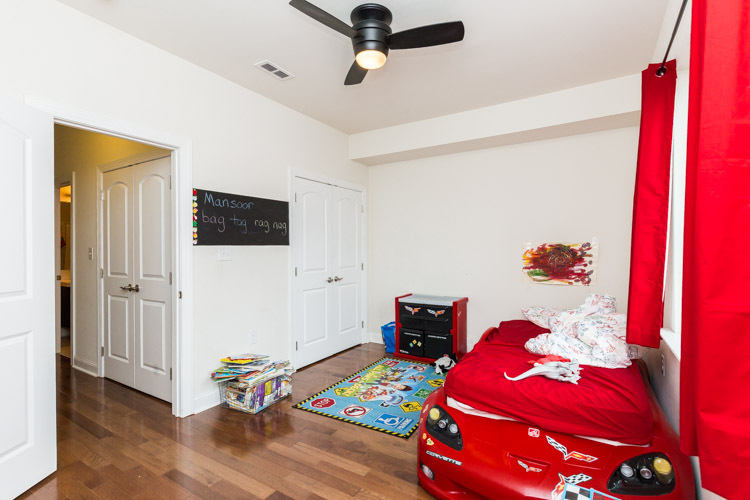 The basement has high tile flooring and recessed lighting– perfect for a TV or game room! 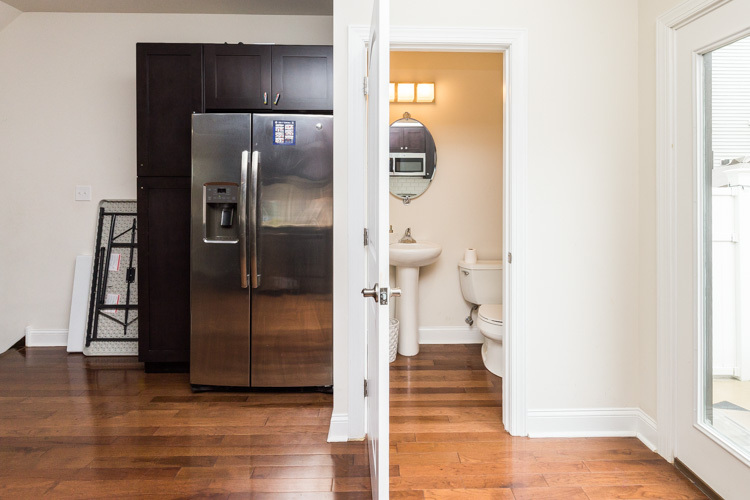 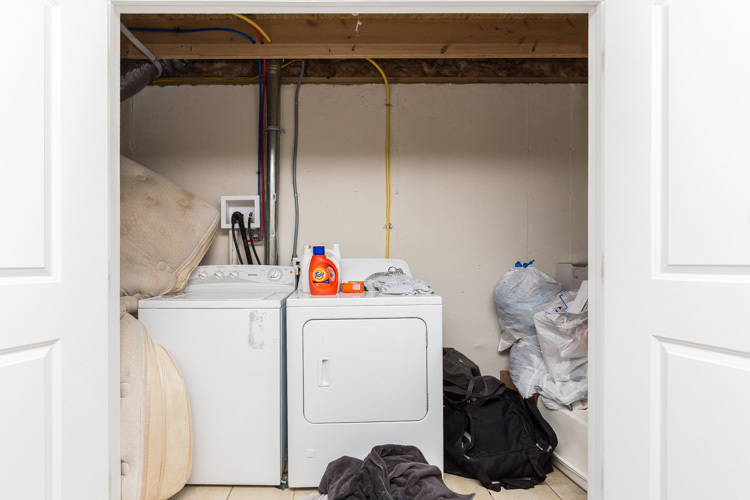 Theres a double door closet with a full size washer/dryer for added convenience. 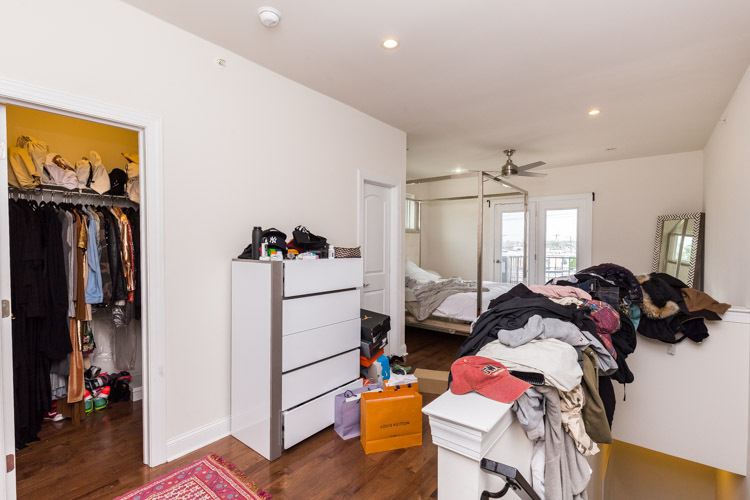 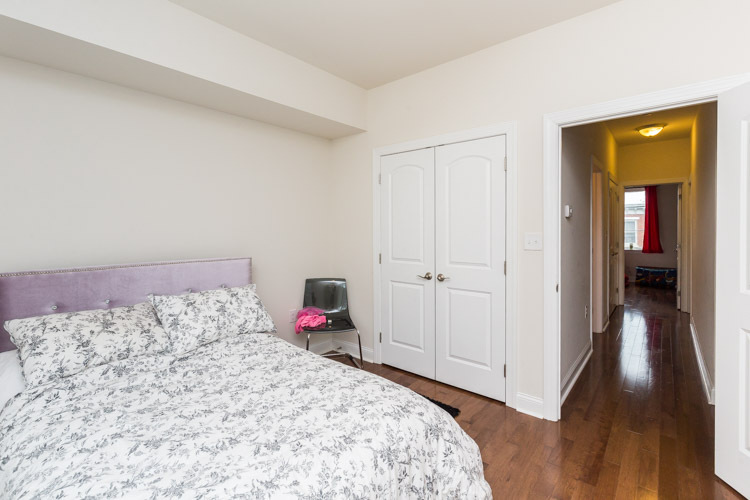 The second floor has the first two bedrooms– each large enough for a queen bed, with hardwood floors and ample closet space. 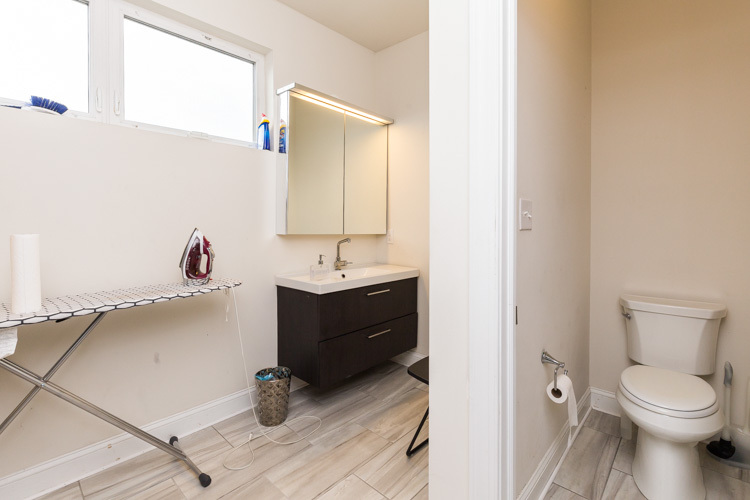 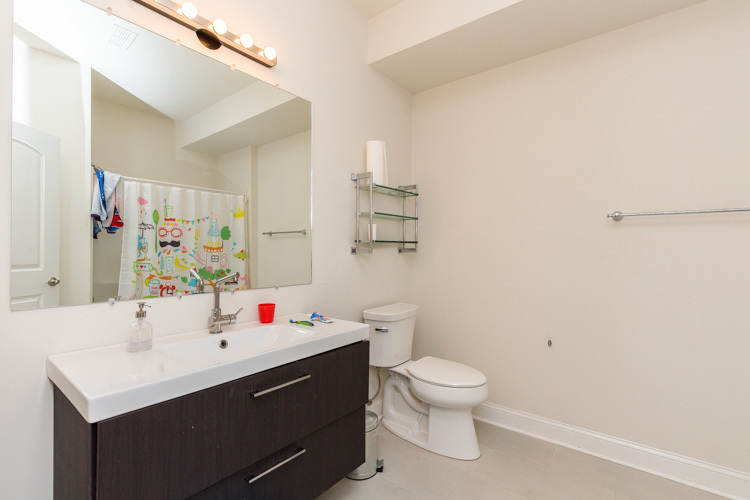 There’s a very large full bathroom in between the two bedrooms with a full tub and lighted vanity. 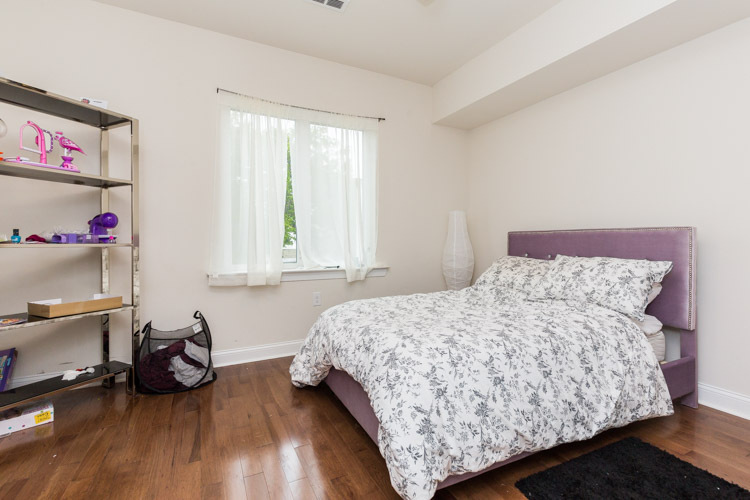 Upstairs, you’ll find the luxurious master bedroom suite. 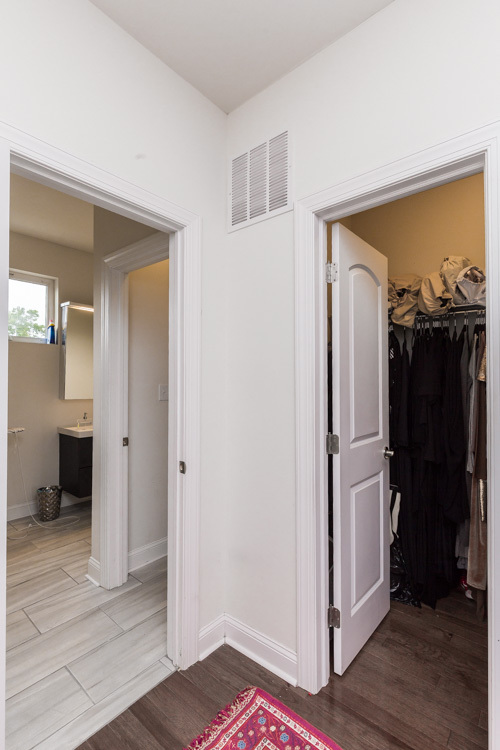 The staircase opens up to the bathroom on your left and two walk-in closets directly in front of you with a seating/changing area. 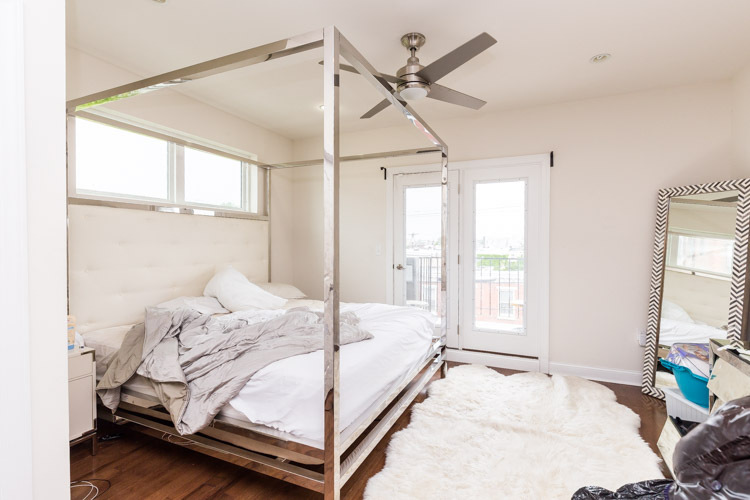 The bedroom is to your right, and offers access to your private balcony with stunning center city views! 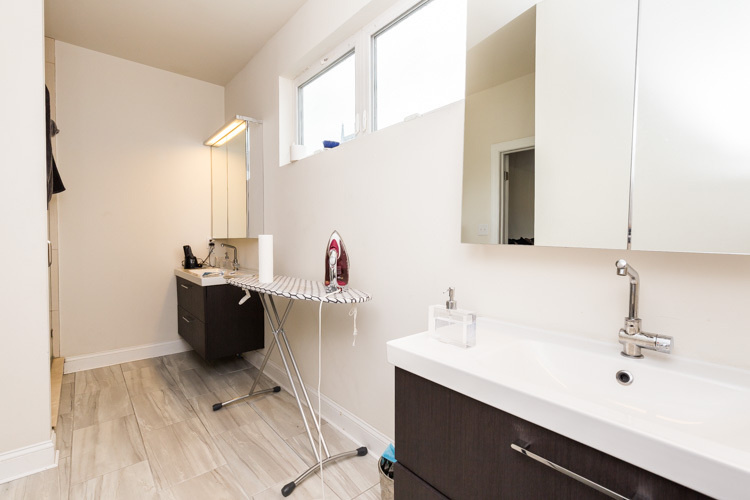 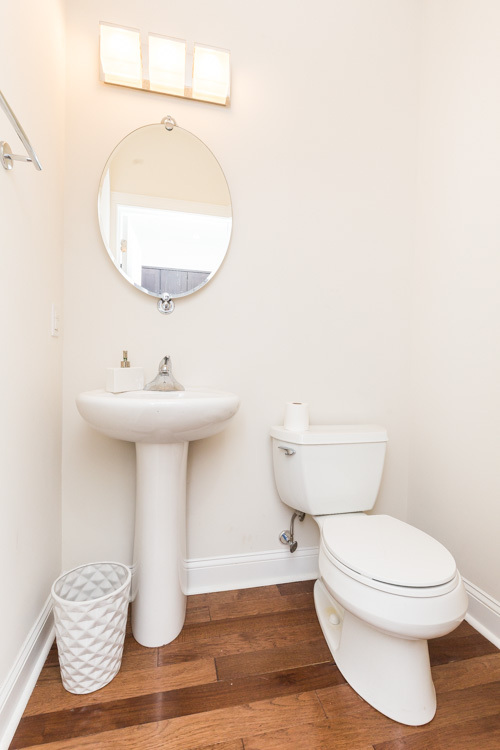 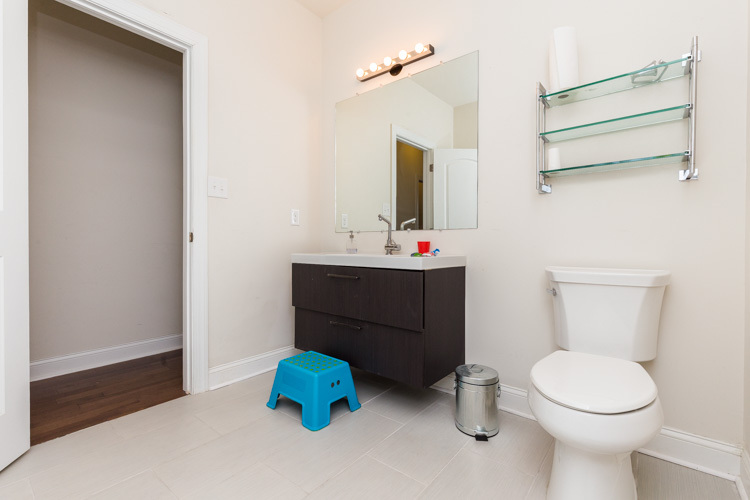 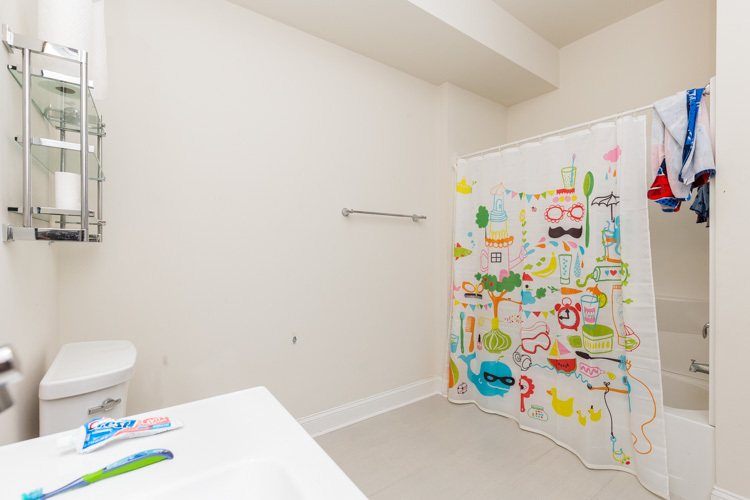 The master bath has a separate toilet area for added privacy, two vanities with contemporary lighting, and a frameless glass shower.